BNS now with 24/7 tech-support! 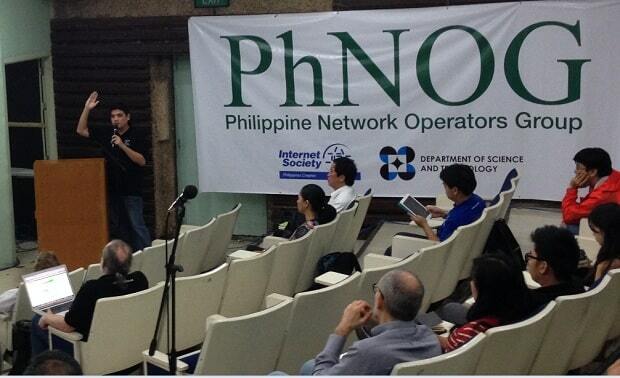 The Department of Science and Technology – Advanced Science and Technology Institute (DOST-ASTI), in partnership with the Philippine Network Operators’ Group (PhNOG), and Trans-Eurasia Information Network (TEIN) Network Cooperation Center (TEIN*CC) will be conducting a one (1)-day Conference with the theme ‘”All over IP’ (AoIP) – touching the different facets of Internet, entwined to our daily lives” on 25 January 2016 at the Marriott Grand Ballroom, Marriott Hotel Manila, Pasay City, Metro Manila. Said activity aims to gather participants from the R&D and IT/ICT communities together with the current PhNOG members to discuss the opportunities that can be derived from joining and using the TEIN Network. TEIN is a high speed international research network which provides access to researchers and research institutions within participating countries in Asia and Europe. Through TEIN, international joint research projects pertaining to climate change, remote medical service, remote cultural performances, agriculture, and information technology have been conducted. Local and foreign experts will also share their knowledge and experiences that will enable the continuous development of the Philippine Internet. On the other hand, Philippines Network Operators Group (PHNOG) is a nonprofit organization established to promote coordination among Network Operators in Philippines. Focus is given to knowledge development of all members as well as the Philippines IT community as a whole through discussions on technical issues/concerns regarding the Internet and network management. Should you have any clarifications, please feel free to contact Mitz Ann N. Montañez at mitz@asti.dost.gov.ph or Marie Antoinette F. Bangabang at meiann@asti.dost.gov.ph. You may also call +63 2 4269760 loc. 1603 / loc.1408.